Orrkit Inn is located in Sector 39, Gurgaon. It can be easily reached from Shalimar Huda City Center Metro Station (Yellow Line). It is also close to HUDA Public Park (13 minutes away), Appu Ghar (14 minutes away), and Tau Devi Lal Bio Diversity Park (16 minutes away). The bright walls and silk curtains make for a royal and quirky stay for guests. Orrkit Inn offers air-conditioned rooms with free Wi-Fi, laundry service, queen size beds, TV and mini fridge. 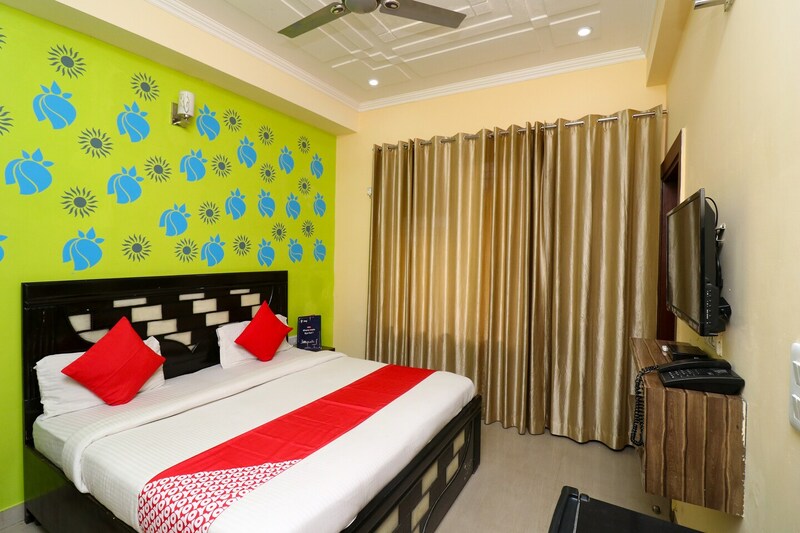 This lodge is close to many eateries like Kamilia Palace Hotels and Restaurants, Desi Bites Restaurants, Dilli 6 on Wheels, Burj-Al-Arab, Hotel Malabar, and Thalassery Restaurants.